In a divorce that involves minor children, Texas courts will typically order the non-custodial parent to make a calculated child support payment to the primary custodial parent of the children in order to help pay for their food, clothing, housing and other basic necessities. The amount of the payments are determined by the non-custodial parent’s income, as well other factors. The child support order remains in effect until the child turns 18, or graduates high school. However, it’s common for a payor’s financial situation to change, necessitating a change in child support payments. 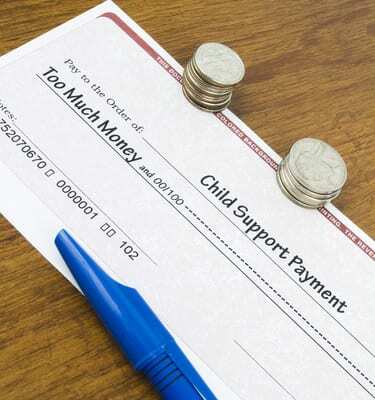 Here are three ways you can legally have your child support lowered. One of the most common reasons that a child support order needs to be modified in Texas is a reduction in the paying spouse’s income. If you’ve received a demotion or have lost your job and are going through a period of unemployment, you may be able to petition the court to reduce or postpone your child support payments until your situation improves. You must provide clear documentation to the court that shows the changes in your income, and a court will only order a modification in child support payments in cases where true financial hardship would arise from continuing to make the payments as they currently stand. If you and your ex-spouse have both agreed on lowering your child support payments, you can submit a request for a child support modification from the courts. Most courts will grant a written agreement between both parents of a minor child if it is clear that both parents are in agreement about what child support payments will be made and to whom. However, you must go through the court and obtain a legal order for the modification of support before you begin paying a lesser amount, even if you and your ex-spouse have already agreed on the new terms. Failure to have a court order for lower payments before you start paying less could cause you trouble, and you may be required to pay back child support until the modification goes into effect. If your spouse remarries and the new partner’s financial contributions significantly increase the household income, you may be able to petition the court for a reduction in your child support payments. This can be difficult to do, however, since Texas courts will not automatically reduce the amount of child support simply for your ex-spouse having remarried. It must be clearly shown that the new spouse is contributing significantly to the household income, and as a result, your ex-spouse has more disposable income. If you need to lower your child support payments, it is crucial that you discuss your case with a Texas child support attorney as soon as possible. At the Bourlon Law Firm, we have the skills and experience required to petition the court for lower payments and can increase your chances that you will be successful in obtaining the reduction that you need. Call the Bourlon Law Firm for a consultation to discuss your case today at (361) 289-6040.